This essence is mellow on the palate, with the expected additional aromas and flavour of a traditional french style Brandy. Enjoy this one as an after-dinner drink or as a mixer. 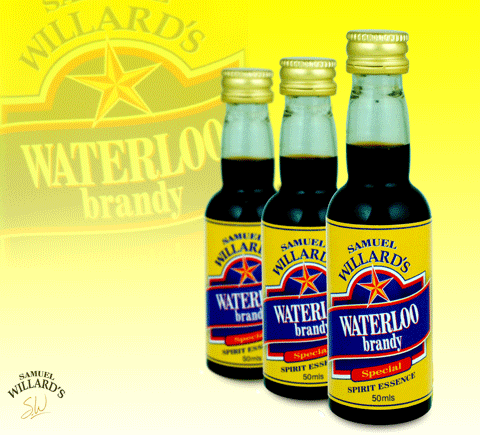 Samuel Willard’s Waterloo Brandy essence produces 2250mL of spirit from each 50mL bottle.